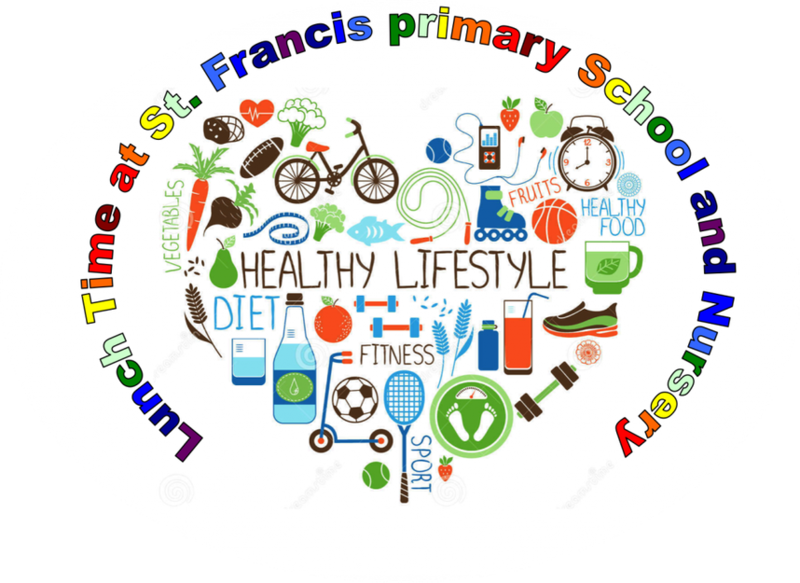 At St. Francis Primary School we promote a healthy lifestyle. During Lunchtime we ensure that pupils have the opportunity to take part in physical activity. We provide a variety of equipment for children to play games with each other and our dinner ladies encourage children to take part in physical activity. On certain days of the week the school also employs sports coaches to run sports and games during lunchtime. We are also proud to provide children with the opportunity to have a healthy wholesome lunch. Every lunch time pupils have a choice of main meals and puddings. Our food is freshly prepared on site by our expert catering team. The children and our visitors really enjoy the food we offer. The lunch is provided for free for Reception, Year 1 and Year 2. For KS2 lunch is £2.15 and for Nursery £1.90.